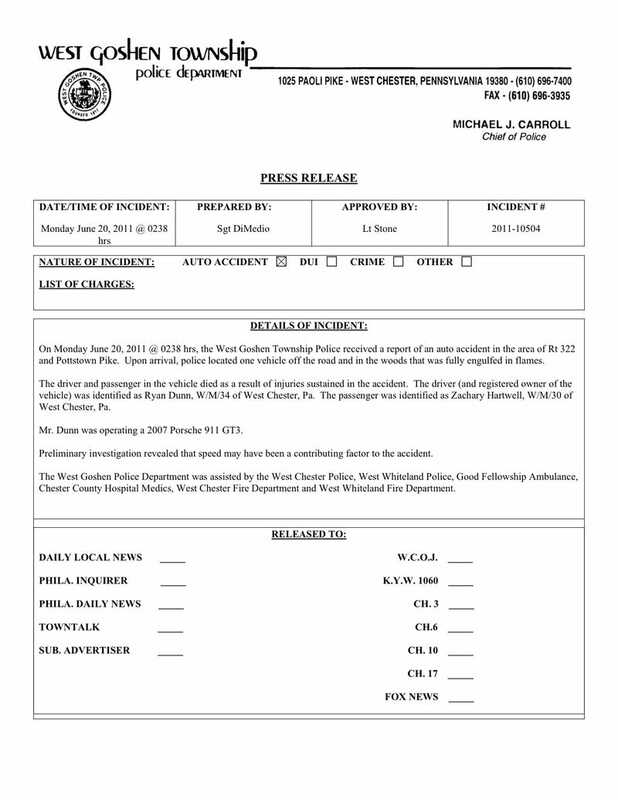 Here's an updated version of the press release West Goshen police sent out yesterday after Jackass star Ryan Dunn crashed his Porsche 911 GT3 early Monday morning in Pennsylvania, killing himself and a passenger. (Click image to enlarge.) The passenger has been identified as 30-year-old Zachary Hartwell, who was a production assistant on the second Jackass movie and had a small role as a "car stunt driver" in the Bam Margera-directed 2009 movie Minghags. He's the guy on the right in this picture, which was taken at a Philly-area bar a few hours before the crash, along with several other pics.